Shanti Gopal Hospital A unit of Mansarovar Medical Center Pvt. Ltd. These care providers work together to assess and treat people making the most of advanced techniques and technologies. In about 10% of cases, the disease is caused by a genetic defect. However, the cause is unknown in the remaining cases. When a brain tumor is diagnosed, a team is formed to assess the treatment options which is presented to the patient and his/her family. Given the location, stage, and type of the growth, these are the various types of treatment options that are either used in isolation or as a combination procedure. It is typically a group of disorders that can involve brain and nervous system functions, such as movement, learning, hearing, seeing, and thinking. There are different types of cerebral palsy such as spastic, dyskinetic, ataxic, hypotonic, and mixed. There is no permanent cure for cerebral palsy. The objective of treatment is to help the person be as independent as possible. Our physiotherapy experts at Max Healthcare recommend occupational therapy for children suffering from cerebral palsy. An occupational therapist helps kids with severe developmental delays learn some basic tasks such as bathing, getting dressed, brushing their teeth, and feeding themselves. He also helps kids with behavioural disorders learn anger-management techniques (i.e., instead of hitting others or acting out, the children would learn positive ways to deal with anger, such as writing about feelings or participating in a physical activity). Epilepsy is a common and diverse set of chronic neurological disorders characterized by recurrent and unprovoked seizures due to alterations in structure / brain function. Epilepsy is usually controlled, or cured, with medication. At Max Institute of Neurosciences, we use the following programs to monitor and control Epilepsy. Max Institute of Neurosciences provides comprehensive and compassionate care to adults and children with seizure disorders. Our team of highly experienced doctors and surgeons strives to ensure best results that eventually bring good quality life to people. 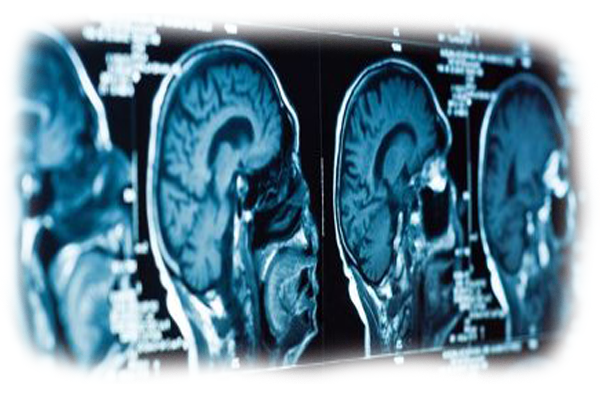 The Epilepsy Program at Max Institute of Neurosciences is led by an epileptologist. Get comprehensive evaluation, neurodiagnostic and treatment services including Counseling, Education, Customized treatment plans, Medication, Physical evaluations, and Psychological report. The Department of Physiotherapy & Rehabilitation offers a unique experience by combining clinical expertise with an integrated approach to treat fibromyalgia from medications to ease pain, fatigue, and sleep problems to physical therapy, relaxation modalities, and regular exercises. Headache is defined as pain in any part of the head including face & neck. There could be numerous reasons of headache - as the cause. There are different types of headaches including tension headaches, migraine headaches, and cluster headaches. Headaches should be managed professionally as they can be a sign of something serious to your health. Overuse of medication can lead to other issues that can be harmful for your body. Recent advances in technology and medications have greatly helped countless headache patients. A dedicated clinic, The Max Headache Clinic (kindly hyperlink to the clinic page/pdf), will be set up to provide excellent diagnosis and treatment of headaches. The clinic is dedicated to quality diagnosis and comprehensive, individualized management of headaches and works in close cooperation with the patient's personal physician. Close communication with referring physicians will be a strong goal of this Headache Clinic, as we understand that headache is a chronic disease requiring on-going treatment. Multiple sclerosis affects women more than men. The problem is mostly found between ages 20 and 40, but can occur at any age. Multiple sclerosis is caused by damage to the myelin sheath, the protective covering that surrounds nerve cells. Family history is another reason behind the onset of MS.
At Max Institute of Neurosciences, the goal of treatment is to control symptoms and help you maintain a normal quality of life through dedicated care and monitoring. The treatment includes drugs for symptom control as well as preventive future attacks. We have an exclusive Multiple Sclerosis Clinic that offers consultations, comprehensive diagnosis and therapies for the condition. Neck pain is a very common medical condition found in people these days. Neck pain can arise from a number of disorders and diseases of any tissues in the neck. Common neck pain conditions are whiplash, a herniated disc, or a pinched nerve. On your first visit to the physiotherapist, he or she will first determine exactly how serious the problem is. Once the most likely cause of your problem has been determined (your diagnosis has been made), you and your healthcare professional can decide on a treatment plan. One of the keys to managing back pain or neck pain is to actively engage in rehabilitation and exercise. Physical therapy helps place patients on the right track by exercising weak points and regaining strength that may have been lost. An exercise programme should be tailored to the individual's condition and pain level, and include a combination of stretching, strengthening and aerobic conditioning. Knowing the right exercises and how to find the right trainers can be the difference between recovery and chronic pain. Faulty movement patterns, for example, excessive mobility in the lumbar spine and insufficient participation in the hips and thoracic spine results in segmental overstrain and pain. Associated imbalance between muscles that have become too overactive and those that have become too weak, as a result of faulty movement patterns. Joint stiffness, soft tissue tightness and tension in the nerve structures, contributing to and resulting in faulty movement patterns. It is a disorder of the brain that leads to shaking (tremors) and difficulty with walking, movement, and coordination. Symptoms may be mild at first. For instance, you may have a mild tremor or a slight feeling that one leg or foot is stiff and dragging. This disease most often occurs after age 50 and is one of the most common nervous system disorders of the elderly. Parkinson's disease occurs when the nerve cells in the brain that make dopamine are slowly destroyed. In the absence of dopamine, the nerve cells cannot function properly which leads to the loss of muscle function. The damage gets worse with time. Exactly why these brain cells waste away is unknown. At Max Institute of Neurosciences, the goal of treatment is to control symptoms & make the patients able to carry out the daily living independently with us of various medicates & delaying progression. Deep Brain Stimulation (DBS) is a surgical technique which helps ease symptoms of Parkinson’s in some cases. It involves placing electrical stimulators in specific areas of the brain that control movement. There is no known cure for Parkinson’s disease. The objective of treatment is to control symptoms. Medications are used to control symptoms by increasing the levels of dopamine in the brain. The department of physiotherapy and rehabilitation focuses on the restoration of function in people with a wide range of disabling injuries and illnesses. The therapist deals not only with the physical aspects of injury or disease but also on the person's social, emotional and vocational well-being. A stroke, or cerebrovascular accident (CVA), is the rapid loss of brain function(s) due to disturbance in the blood supply to the brain. This can be due to ischemia (lack of blood flow) caused by blockage (thrombosis, arterial embolism), or a hemorrhage, i.e, rupture of blood vessel. As a result, within minutes the affected area of the brain cannot function, which might result in the inability to move one or more limbs on one side of the body, inability to understand or formulate speech, or inability to see one side of the visual field, deviators of face, difficulty swallowing /chewing. There are two major types of stroke: ischemic stroke and hemorrhagic stroke. Ischemic stroke occurs when a blood vessel that supplies blood to the brain is blocked by a blood clot. A hemorrhagic stroke occurs when a blood vessel in part of the brain becomes weak and bursts open, causing blood to leak into the brain. Max Institute of Neurosciences provides complete management of stroke including primary stroke prevention, emergency management of stroke and after stroke management. Neurointerventional therapy of selected cases of stroke with the help of Interventional Neuroadiologist. This is performed in a dedicated 8-bedded sophisticated Stroke unit with the help of experienced Neurocritical care team. Comprehensive neurorehabilitation and long-term, risk-factor modification programs are available through the Cerebrovascular Center in conjunction with the Department of Physical Medicine and Rehabilitation. Under the direction of Neurologist, patients learn to maximize their function and resume normal activities to the fullest extent possible. Acute stroke therapies must be initiated within 4.5 hours after the onset of symptoms in order to be effective. The sooner acute Thrombolytic therapy is initiated, the greater the probability of limiting or reversing brain damage. Rapid access to these therapies is absolutely essential.